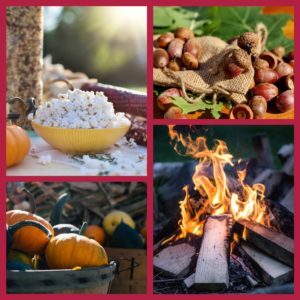 If the Bride-to-be loves Fall, the Outdoors, Camping, Football Tailgating, or just being Cozy, then this blog post is for you (and her)! Fall is the perfect season for all things Pumpkin! Make your party scene look like a real Pumpkin Patch and complete the scene with Pumpkin decorations and recipes (like pumpkin spice lattes and pumpkin pie). Whether the bachelorette likes hiking, outdoor activities, or hunting, the skies the limit on how you can set the scene with decorations and food/drink. Start by setting the scene with some rustic elements, created or real (such as twigs on a tablescape, wood & floral centerpieces, and/or a nature backdrop). Then add fun outdoorsy decorations and themed games, and you’ll create an outdoor style adventure the Bride will never forget. This theme can start with many of the elements above, and add a tent or teepee to section off the party favors or gift table. Add a campfire (fake if indoors) and a S’mores cupcake table, and you’re set! This is one of my favorite ideas. Think ‘Breakfast at Tiffany’s’ from your backyard. Outdoor chandelier, Lanterns everywhere, cozy blankets, warm spiked apple cider, and a big outdoor screen (or white bed sheet). If you and the Bride are big Football fans, turn your favorite pastime into her bachelorette party theme! Turn any space into a football stadium with some DIY decor and tablescapes, and add some themed finger foods and drinks. Plus, you can gift the Bride our Bedroom Football Game! For these ideas and much MORE, check out our Fall Party Pinterest Board. Plus, add these BONUS ideas to any Fall themed party to make it unforgettable!